Having recently passed his California licensure exam, McCullough is proud to announce that Brian Frederick has been promoted to the title of Associate Landscape Architect and has also been given the additional title of Business Development Manager. “Brian will work to acquire new opportunities and strengthen client relations, in addition to evaluating current business performance and profitability,” explained Catherine McCullough, President and CEO of McCullough. McCullough recently completed a project at Torrey Plaza with the firm Gensler San Diego. Torrey Plaza is an office space that was transformed into a remarkable space where tenants and visitors can “get away from it all” and take in the calming landscape architecture. The project scope for the McCullough team included a design for a 190-square-foot living wall, complete renovation to the exterior patio and two interior fountain courtyards with plantings. To round out the project, McCullough designed the furniture layout and conceptualization for both interior and exterior spaces. The McCullough team is dedicated to using the experience gained from this unique project to apply to their other projects in the future. 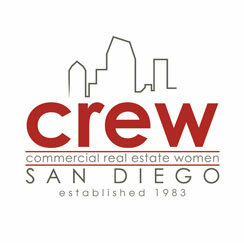 Principal David McCullough has been selected to participate on the panel for the upcoming CREW luncheon on July 24th, to be held at Tom Ham’s Lighthouse in San Diego. An expert in mixed-use development, David and the other panel members will discuss the successes and challenges of developing for mixed-use and the changing markets for urban and suburban projects. Join McCullough Tuesday, July 31st as they sponsor Bisnow’s Design Matters: San Diego Construction & Development. David McCullough will join a panel of other industry leaders to discuss innovative trends in construction and design as well as solutions for future developments and the impact of the CEQA overhaul.